Indian media reports India will purchase Spike anti-tank missiles from Israel after cancelling the deal earlier. India will purchase Spike Anti-Tank Guided Missile (ATGM) from Israel after having earlier cancelled the deal, The Hindustan Times reported on Wednesday. According to the report, the purchase will take place through the so-called government to government (G to G) route because the military wants the proven weapon. The original purchase was to have been made directly from Rafael Advanced Systems, but last month the Indian defense ministry withdrew the deal, which would have been worth $500 million and would have seen the country purchases 8,000 such missiles. A the time, senior defense ministry sources said that the Israeli-Indian arms deal was scrapped for fear that reliance on imported weapons technology would reduce the prospects of India producing its own indigenous infantry-based anti-tank missile system. India has also turned down offers for similar missile systems from Raytheon-Lockheed Martin in the United States. 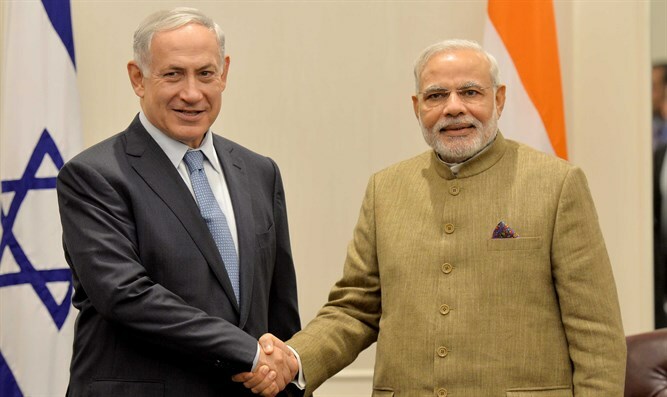 The news comes as Prime Minister Binyamin Netanyahu prepares to visit India next week for trade talks which will also cover defense sales, though it is unclear whether there is a connection between his trip and the report, which has not been confirmed by Israel. Foreign ministry deputy director general for Asia, Gilad Cohen, declined to answer questions on the Spike missiles in his briefing to journalists in Jerusalem on Wednesday. "The prime minister will be talking (to his hosts) on the whole range of issues which make up relations between Israel and India: water, agriculture, energy, culture, innovation, also defense. I do not want to elaborate on defense issues," he said. Israel is a major weapons supplier to India, selling it an average of $1 billion of military equipment each year. Spike missiles are widely used by the IDF and various other armed forces, and are exact guided missiles, that can be fired from various land, air, and sea platforms, from up to 30 kilometers (18.6 miles) away from a target. Last month, the missile successfully passed a series of technical and operational tests in which forces fired the Spike-LR missiles.